If you ever get chatting to a group of web developers (poor you!) it won’t be long before they start moaning about the difficulty of supporting multiple browsers and browser versions. Developers have long since got used to working around each browser’s foibles and quirks, to make everything appear seamless to end users. 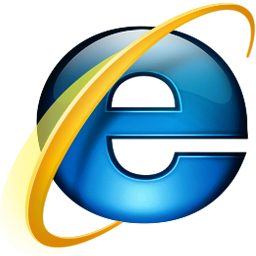 But that job might just be about to get easier as Microsoft ceases support for Internet Explorer 8, 9 and 10. This move leaves Microsoft users the choice of IE11 and the excellent new Microsoft Edge browser, launched alongside Windows 10. A final security patch will be issued 12 January and that’s your lot. It won’t suddenly disappear or stop working but you’ll be nagged to upgrade. Any bugs will remain unfixed and security holes unfilled. The move was long-flagged by Microsoft, announced in April 2014, and organisations should take this is a cue to UPGRADE. Some large corporates have a habit of locking down their IT infrastructure and sticking with old software long past the sell by date. This has always been more about convenience for the IT department than the end user experience. This is finally the prompt to upgrade old, creaky systems. If for no other reason than you’ll leave yourself exposed to security flaws in the future. Bear in mind that IE8 was launched almost 7 years ago — almost an eternity in Internet Years. Do yourself a favour and upgrade your browser if you’re still running one of these dinosaurs!